Charted from one of a pair of samplers worked by the Baird sisters (date unknown) within my collection. Worked in cross stitch although you could work the large alphabet in Algerian eye stitches. 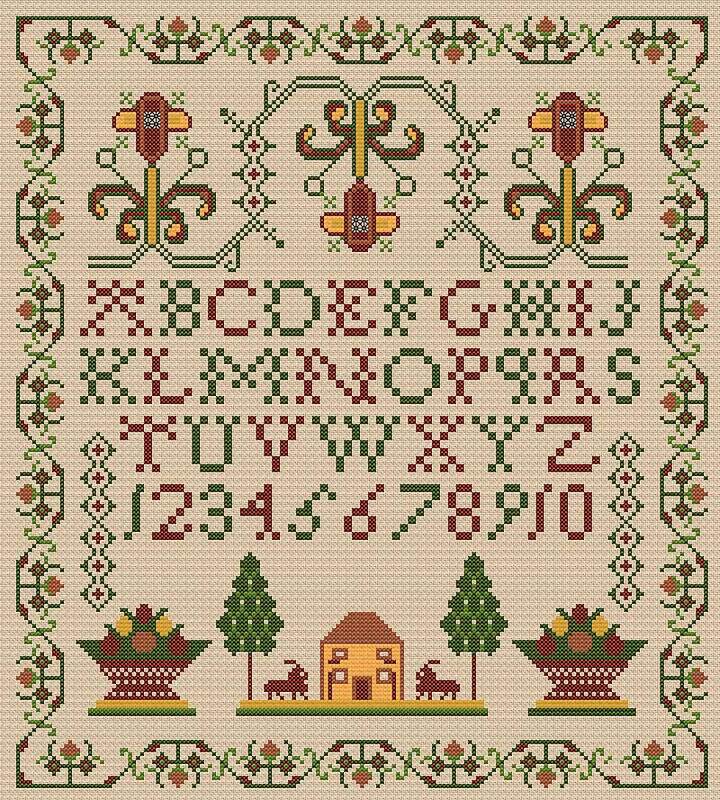 You will see from the chart that the alphabet is charted in cross stitch but each four stitch space would fit Algerian eye stitches perfectly. As a result, you may find it easier to work this on linen rather than Aida.